W303ST W305ST. X303ST X305ST. GT760 GT760A OP305ST. The lamp fits all the following Optoma projectors PROJECTOR NOT STARTING?. Not touch the lamp with bare hands as this will reduce the lamp's life. Codalux Lampe in neu gefertigtem Käfig / codalux bulb in new cage. codalux Ersatzlampe mit Gehäuse f. PANASONIC ET-LAE700 incl. codalux modules. Codalux Lampe in neu gefertigtem Käfig / codalux bulb in new cage. codalux modules. Codalux Lampe in neu gefertigtem Käfig / codalux bulb in new cage. codalux modules. EH-TW2800, EH-TW2900, EH-TW3000, EH-TW3200, EH-TW3300C, EH-TW3500, EH-TW3600, EH-TW3700C, EH-TW3800. EH-TW3850C, EH-TW4000, EH-TW4400, EH-TW4500, EH-TW5000, EH-TW5500, EH-TW5800, EH-TW5800C, EH-TW5850C. HT1075, HT1085ST, W1070, W1080ST. OSRAM P-VIP Bulb / Ersatzlampe für Benq 5J. J7L05.001 incl. verbaut in folgenden Lampenmodulen /this lamp is used in the following lamp modules. Codalux Lampe in neu gefertigtem Käfig / codalux bulb in new cage. 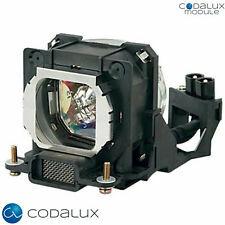 codalux Ersatzlampe mit Gehäuse für Sanyo POA-LMP94 / 610-323-5998 /ET-SLMP94 incl. codalux modules. Unter anderem v erbaut in folgenden Lampenmodulen / among others this lamp is used in the following lamp modules OSRAM Lampe ohne Gehäuse / OSRAM bulb without cage. OSRAM P-VIP 195/0.8 E20.7 incl. OPTOMA SP.72G01GC01. 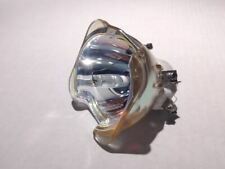 FOR BENQ PROJECTOR MODELS ORIGINAL OSRAM LAMP BULB. Original DMD chip. DMD CHIP TYPE Condition: USED. ACER MC.JN811.001 / H6517ABD, H6519ABD, X115H, X117AH, X117H, X125H, X135WH, X137WH. 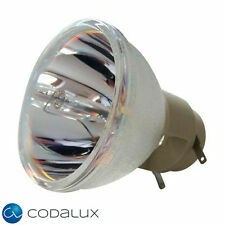 OSRAM P-VIP Bulb / Ersatzlampe f. ACER MC.JN811.001 incl. unter anderem v erbaut in folgenden Lampenmodulen / among others this lamp is used in the following lamp modules. OSRAM Pro-Gen Ersatzlampe mit Gehäuse für ACER MC.JFZ11.00 incl. Pro-Gen Modul für ACER MC.JFZ11.00 ist passend für / is compatible for Die Lampen werden in Kombination mit qualitativ hochwertigen Lampengehäusen zu einem Modul gefertigt das hohe Qualität zum fairen Preis bietet. EH500 EH501 HD36 HD151X X501. X600 DH1017 VDHDSL DAEXTKZ. RX825 W501 W6101. The lamp fits following Optoma model numbers PROJECTOR NOT STARTING?. 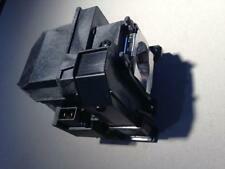 Also fits BenQ Projector models JUST REPLACE THE LAMP! Vielfältig einsetzbar: Die P-VIP 100-120/1.0 E23H Projektorlampe eignet sich ideal zur Verwendung im professionellen Bereich in diversen Projektoren. 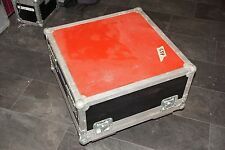 Eiki AN-XR20LP/1 Eiki AN-100LP/1 Eiki AN-XR20LP Eiki LU-4001VP Eiki AH-11201. Eiki AH-15001 Eiki AH-66271 Eiki EIP-2500 Eiki XR-HB007 Eiki XV-Z100. Eiki VP-4001 Eiki EIP-200 Eiki DT-100 Eiki DT-500. Experts on the Lamp Market, We have verified specialist to ensure you can find the correct bulb for you. 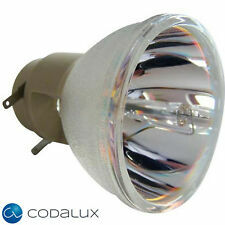 Experts on the Lamp Market, We have verified specialist to ensure you can find the correct bulb for you. Compatible Models We are here to accommodate any special request that you may have. PROJECTOR NOT STARTING?. This is a genuine bare lamp that easily fits in your existing housing. JUST REPLACE THE LAMP! FITS ALL FOLLOWING SONY MODELS Lamp Type: NSHA / USHIO. Lamp Life: 2000 hours bright mode. Condition is New. never used. 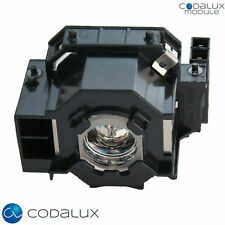 codalux Modul Ersatzlampe f. Sanyo POA-LMP114 610-336-5404 PLC-Z800 PLV-Z700..
Codalux Lampe in neu gefertigtem Käfig / codalux bulb in new cage. 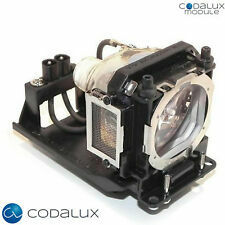 codalux Ersatzlampe mit Gehäuse für Sanyo POA-LMP114 / 610-336-5404 incl. 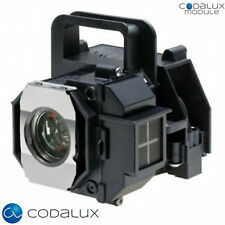 codalux Ersatzlampe mit Gehäuse für Sanyo POA-LMP114 / 610-336-5404 passend für / is compatible for. It's very rare to find one of these T20 lenses at this kind of price! It's the only one we have so don't miss out on this opportunity. This is a power zoom and focus lens for many models within the professional series of Sanyo XM/WM (XM100/XM100L/XM150/XM150L/WM5500L etc) and Panasonic PT-EZ570 / EZ570L / EW630 / EW630L / EX600 / EX600L / EW530 / EW530L / EX500 / EX500L Projectors (and possibly other). Complete Generic housing assembly with g enuine factory o riginal Ushio NSH bulb inside ! Factory Original Ushio NSH bulb inside. We are based in USA, California. We have multiple warehouses here in the USA and Taiwan. It's very difficult to find one of these W32 lenses in such great used condition like this, so don't miss out on this opportunity. This is an on-axis 0.8:1 short throw fixed lens for many models within the professional series of Sanyo XP (and possibly other) projectors. PANASONIC:PT-AE100U, AE200U, AE300U, L200U, L300U. -THIS LAMP IS SOLD COMPLETE WITH LAMP HOUSING AND AIR FILTER. -LAMP TYPE: HS120AR10-4, Made in Japan. HT2050, HT2150ST, W1110, W1110S, W2000, W2000W. OSRAM P-VIP Bulb / Ersatzlampe für BENQ 5J. JEE05.001 incl. verbaut in folgenden Lampenmodulen / this lamp is used in the following lamp modules. Lampada originale per NEC HT1000, HT1100, LT220, LT240, LT240K, LT245, LT260, LT260K, LT265, WT600. Product Code: GL703. Equivalent to: Vivitek 5811116685-SU. BrightLink 455Wi. Part no: ELPLP57 / V13H010L57. PowerLite 450W. PowerLite 460. PROJECTOR NOT STARTING?. JUST REPLACE THE LAMP! 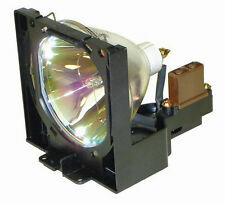 The lamp fits the following models Lamp type: UHE. They generate crisp, clear images using Digit Light Processing. DLP technology, and feature an M1-DA connector for easy, built-in digital/analog and USB connectivity. They are easy to connect, easy to use, easy to transport and easy to maintain. 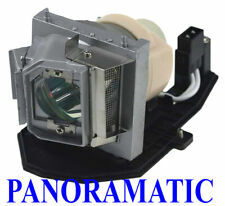 Superior quality compatible projector lamp for the 3M MP8630 - Replacement part code: EP1660 / 78-6969-8329-1. HT1075 HT1085ST 5J. LAMP For BENQ W1070 W1080ST. PROJECTOR NOT STARTING?. 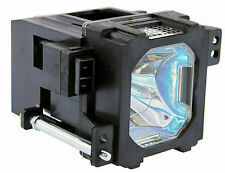 PROJECTOR LAMP P-VIP 240/0.8 E20.9N. JUST REPLACE THE LAMP! DH758UST, VIVITEK DH758USTIR, VIVITEK DH759USTI. OSRAM P-VIP Bulb / Ersatzlampe f. VIVITEK 5811119833-SVV incl. VIVITEK 5811119833-SVV. 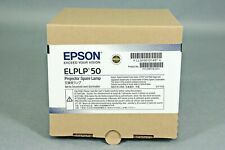 Compatible with these Projector Part Numbers: SP-LAMP-035, SP LAMP 035, SP LAMP 036, SP LAMP035, SP LAMP036, SP-LAMP-036, SP-LAMP035, SP-LAMP036, SPLAMP 035, SPLAMP 036, SPLAMP-035, SPLAMP-036, SPLAMP035, SPLAMP036. Will arrive exactly as shown in the photos. 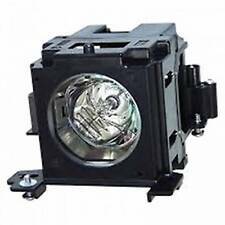 Superior quality compatible projector lamp for the following projectors: PANASONIC PT-LW25H, PT-LX22, PT-LX30H, PT-LX26H, PT-LX26. Compatible with these Projector Part Numbers: TLP-LMT70, TLP LMT70, TLP-LMT70, TLPLMT70.